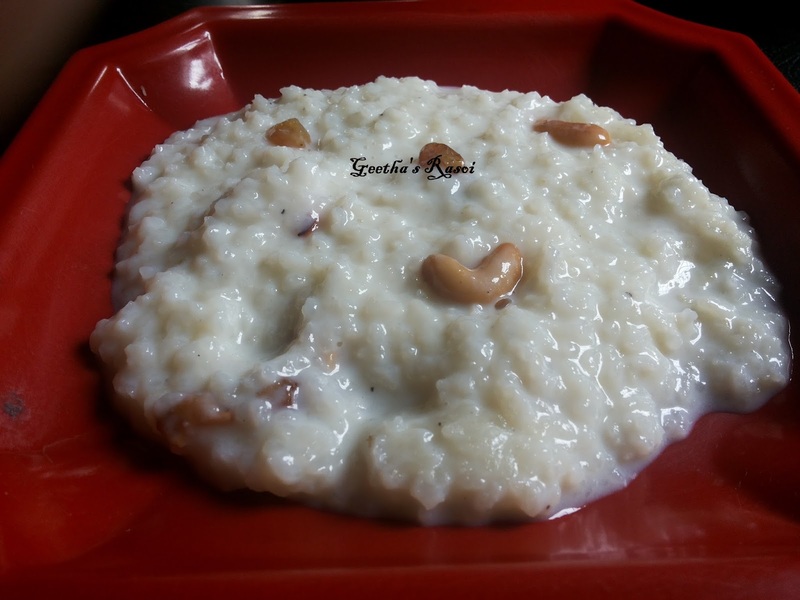 Doodh pak is a rice and milk combination which is a very popular sweet dish. It is delicious, creamy and very less ghee dessert. I learnt this from my mammamma (mom’s mother), in their home everyone likes sweet dishes. Generally on every Sundays they use to prepare a sweet dish. When I was writing this recipe, I just remembered about my grand pa. He was a big cricket lover, those days TV was not common and we had one. At that time those who had TVs with them, rented rooms for college students we had also rented some rooms and since there was no TV in their rooms they along with some other neighbours used to come to watch cricket match. When India wins any match, my grand pa used to tell my grand ma to prepare Doodh pak because it was an easy to prepare and tasty dish. My grand ma prepares it very tasty so mostly people come there not only to watch cricket match but for the special Doodh pak. Today I felt to eat it so I called my mamama and prepared Doodh pak in her style. Normally she prepares it with gandsale rice, since we don’t get it here I prepared it with kaima rice. Wash the rice then put in pressure cooker add 1 glass of milk and 2 glass of water close the lid cook for 2 to 3 whistles. Alasande palya (long bean stir fry) udupi style.